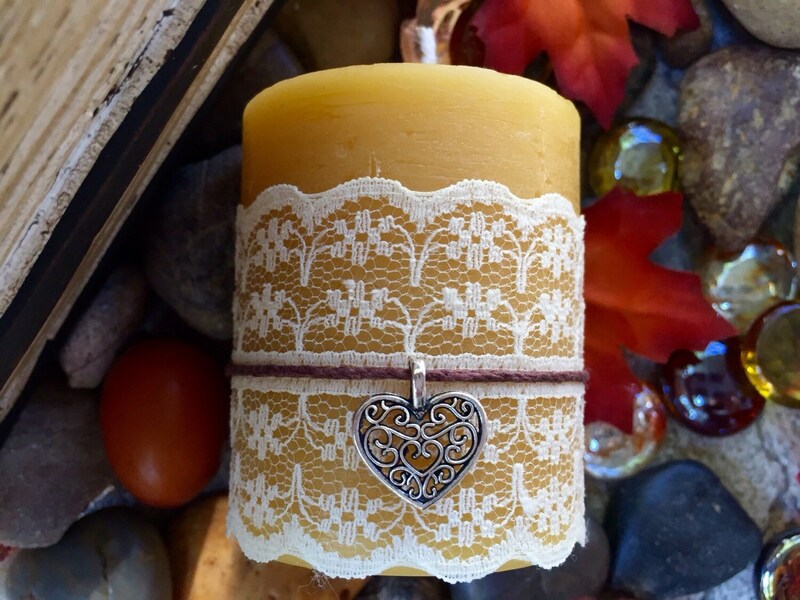 This is a 2"x 3" 100% pure beeswax pillar candle, wrapped in lace and a natural hemp cord with a delicate heart charm. It will add romance to any setting. Give one to the one you love. I use no additives such as soy, palm or paraffin wax. 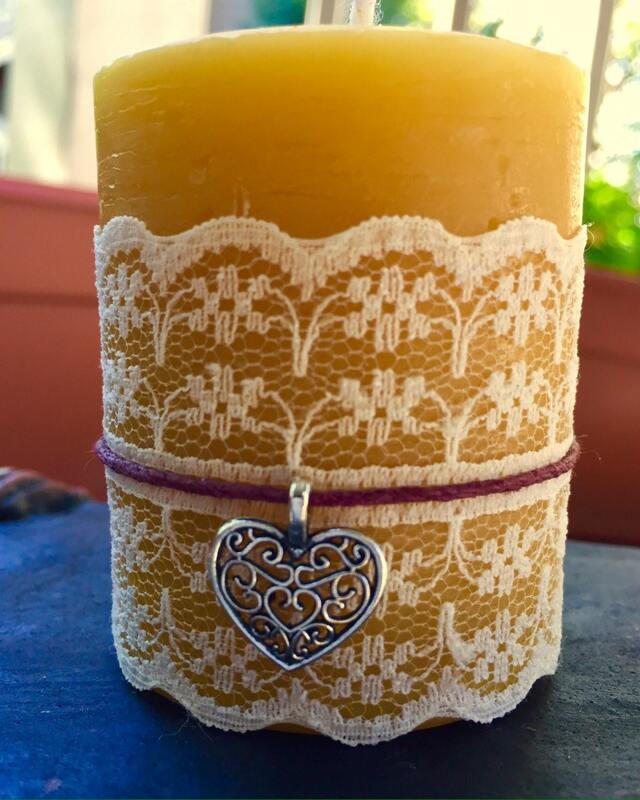 My handpoured beeswax candles are 100% natural. While I add no artificial dyes or perfumes (which could cause harmful allergic reactions) the golden beeswax has a natural, light honey scent. 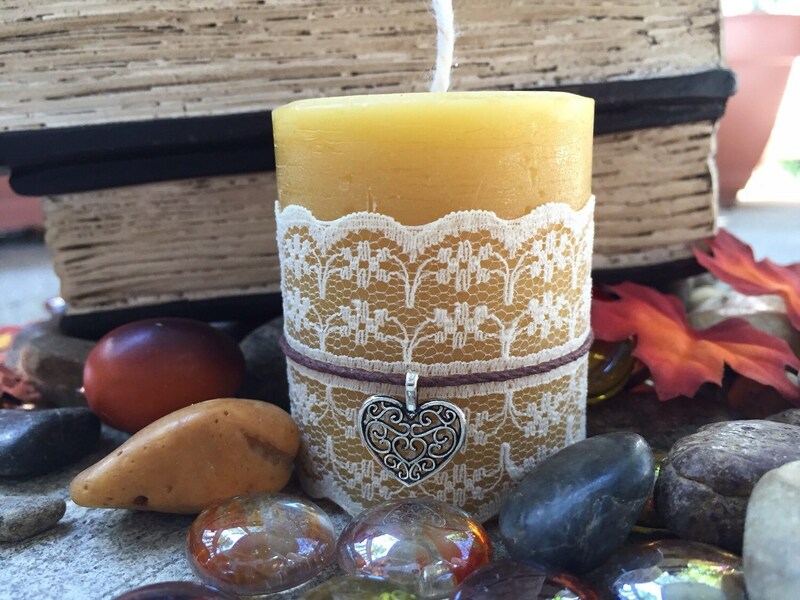 Beeswax candles are drip-less, and have a high temperature melting point, so very little smoke and soot are produced.